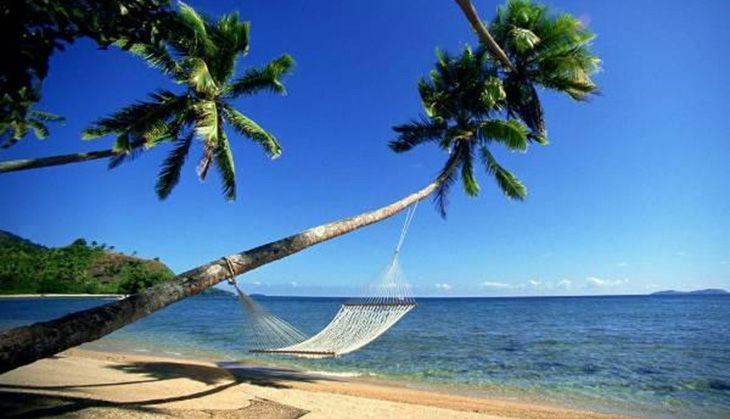 Home » Life & Society » Want a 5-star break at 3-star prices? Goa right now is a steal! Goa. A single word that can conjures up all kinds of magical images. Beach. Surf. Sand. Cocktails. Seafood. Music. Lazy days. Party-happy nights. Relaxing massages. Swaying palms. Ocean breeze. And people. Lots of people. Planeloads of them who hit the gorgeous coastline, South to North, through the months of November-to-Feb. Conventional wisdom says that Goa is all about the winter - when festive season and Christmas and the New Year and great weather make urban hordes pack their bags and descend on Goa in great waves - on planes, in cars, buses, trains. That there's no off-season for Goa. That its magic is different but constant, whatever time of year you visit. And that summer may be the true insider secret Goa is hiding - the flights are cheaper, the hotel deals are a steal, the seafood is plentiful and half the price of peak season, the beaches are empty, and whenever you're feeling hot, a pool, the ocean and a cocktail are just arm's reach away. So find a long weekend this summer, pick one of these five amazing hotels, and prepare for a cold cocktail, a relaxing massage, and unwinding like only this blessed coastal state can offer. Estrela Do Mar Beach Resort made Calangute their hospitality home back in 1979. It is a charming, beachside resort that has offered its guests food and beaches for years. It is located just 10 km from the 17th century Fort Aguada. The cottages feature all the modern day ammenities and some amazing sea views. 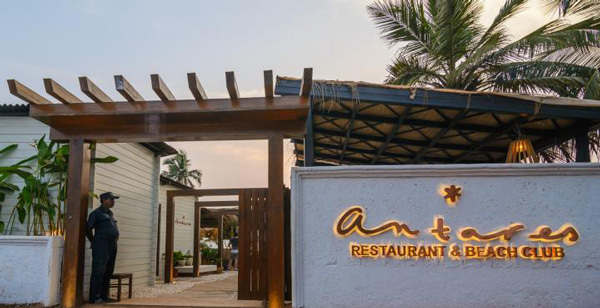 Antares is a restaurant & beach resort located in Vagator. Except this is no ordinary restaurant and resort - the setup is run by Masterchef Australia finalist Sarah Todd and it is fabulous, buzzing, and the perfect mix of rustic and glam. It's 44 kms from the airport and located on the cliffs of Vagator in North Goa, right next door to the iconic Greek restaurant Thalassa. Alongside the 250-seater 'alfresco restaurant', there are 13 wooden cottages, a beach club and more. Massage on the beach? Check. Cocktail on the deck of your wooden cottage with the pool at your feet and the ocean a hundred steps away? Check. The best calamari in all of Goa? We're packing our bags. What's this hotel got that most others in the state, however swanky, don't? 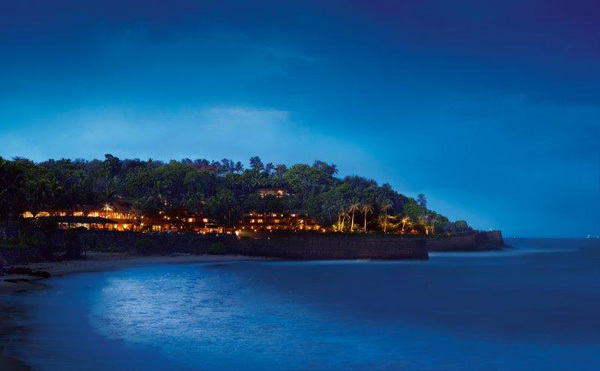 The clue's in the name, and it's the reason this hotel routinely makes it to the top of Tripadvisor's Goa rankings. This upscale luxury beach resort boasts a fabulous casino, and is just 10 minute walk from Varca Beach and 10 kms from Fatorda Stadium, ever popular with cricket and football enthusiasts - and Goa sure has a few. Located in South Goa, the resort - which offers every amenity you could demand of a luxury hotel - also boasts South Goa's best Pan Asian restaurant, Sake. The rooms have amazing views of the sea, and the cuisines on offer include local Goan, European and Pan Asian. Travelling with children? There's enough to keep them occupied while you soak up the sea, a massage, and some sangria. This beachfront hotel along with a courtyard is just 13 km fromt he city of Margao. It's got balconies with an option of ocean, pool or garden views. It houses three restaurants and four bars. It's as much an icon of Goa as the sea itself. This luxury hotel has a mixed clientele - vacationers, honeymooners, professionals in town for work - but it never fail to work its magic on each. Expect VIPs and celebrities, famous faces and relaxed ones, at this Taj property. Located right next to Fort Aguada - which was built by the Portuguese in the sixteenth century - in North Goa, it's a few doors down from another former Goa icon, the Kingfisher Villa, and offers a private beach to boot. The property itself is nestled among eight acres of greenery and overlooks the Arabian Sea. It houses more than one hundred and forty five rooms. And should you ever wish to leave the resort itself, you're just a couple of minutes away from the buzzing bars, seafood shacks, shopping, and great dining of Candolim.